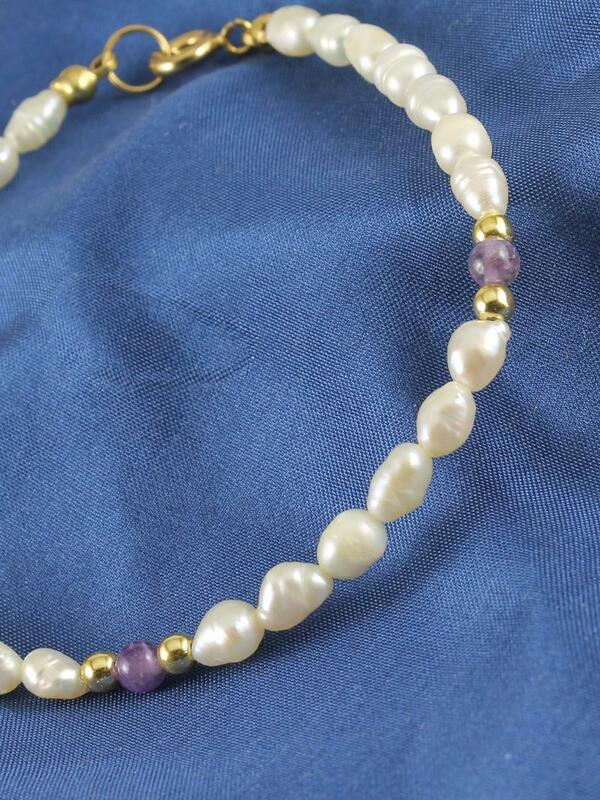 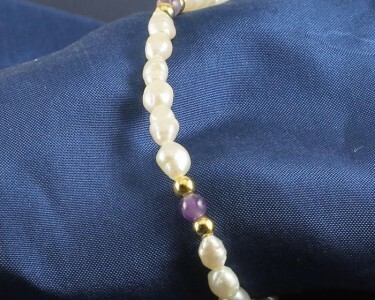 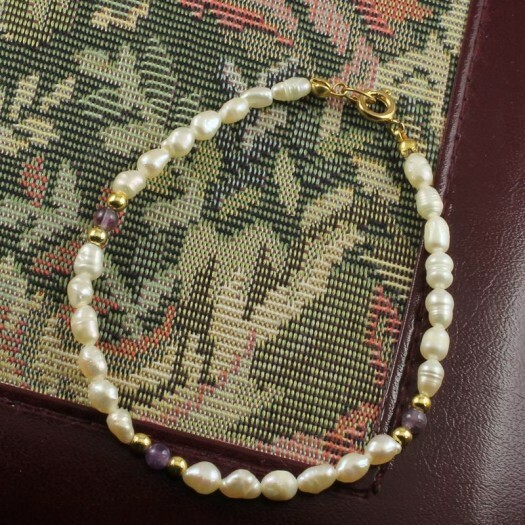 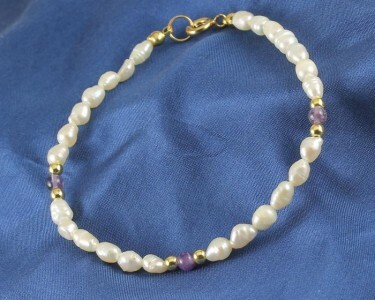 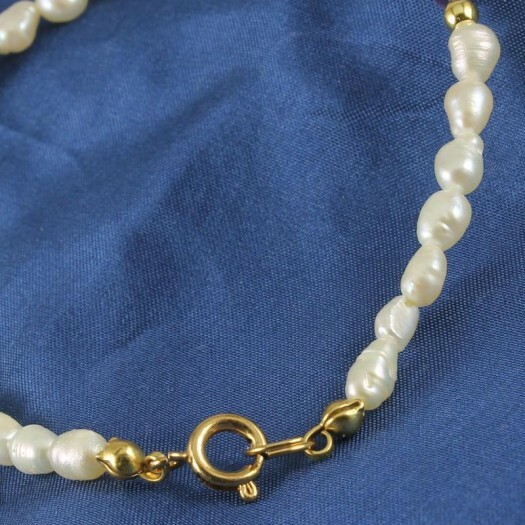 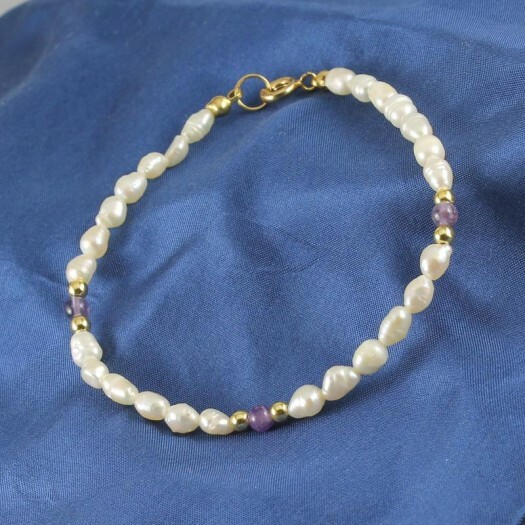 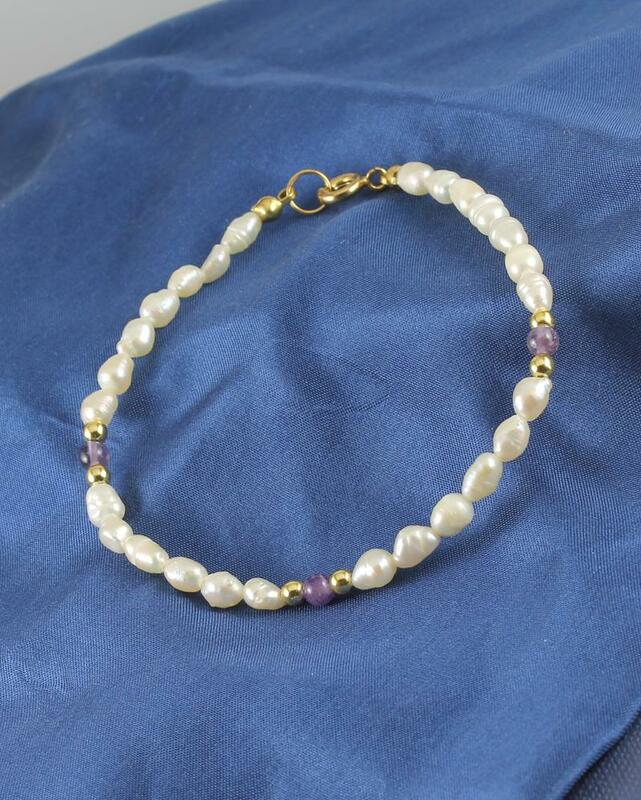 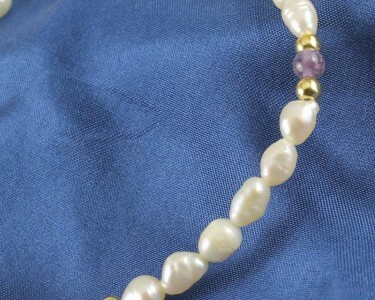 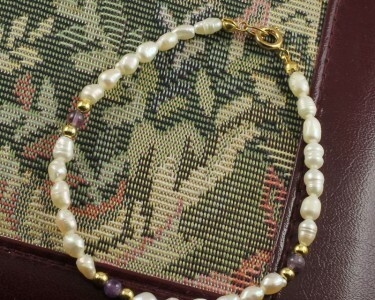 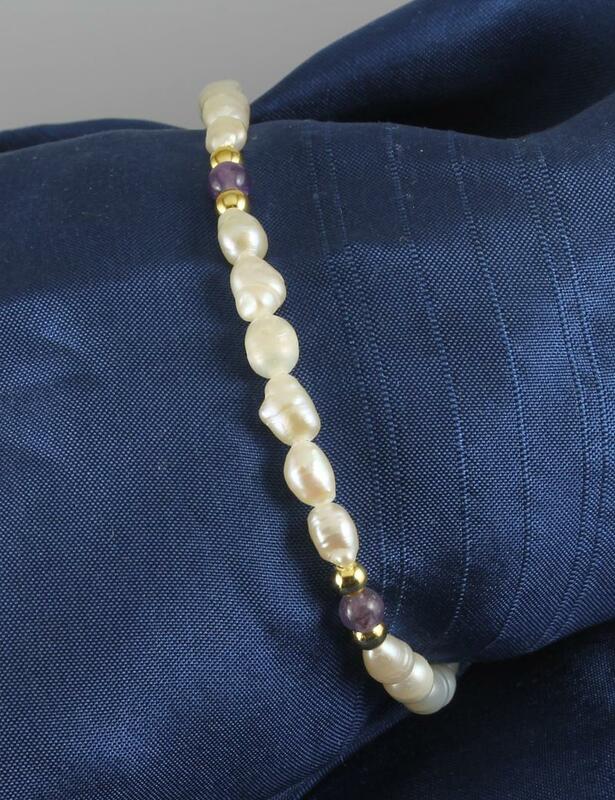 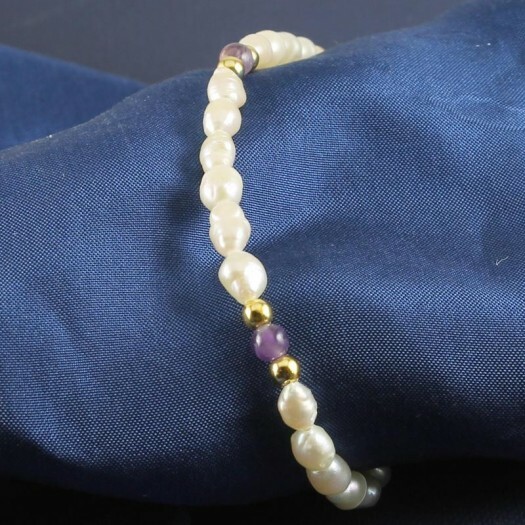 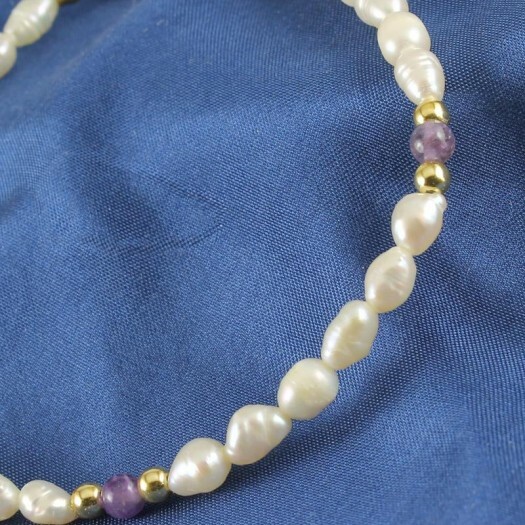 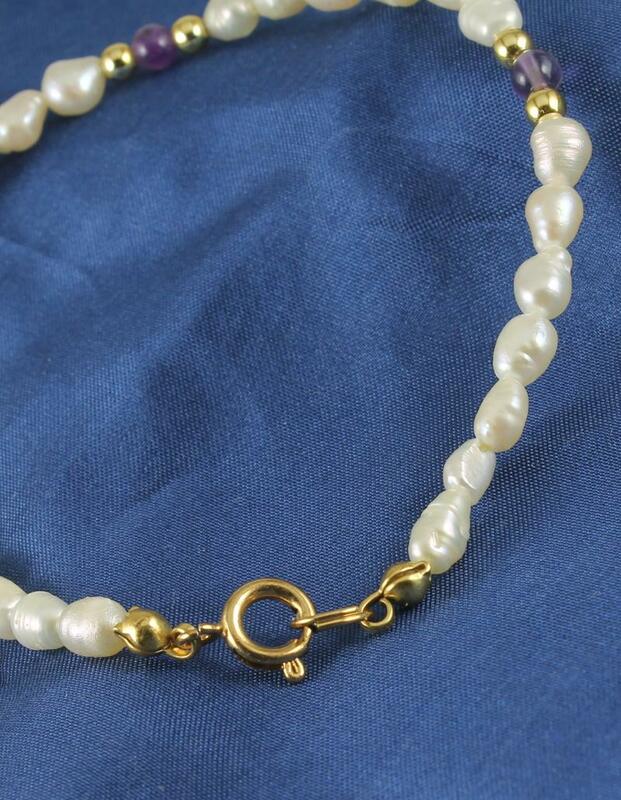 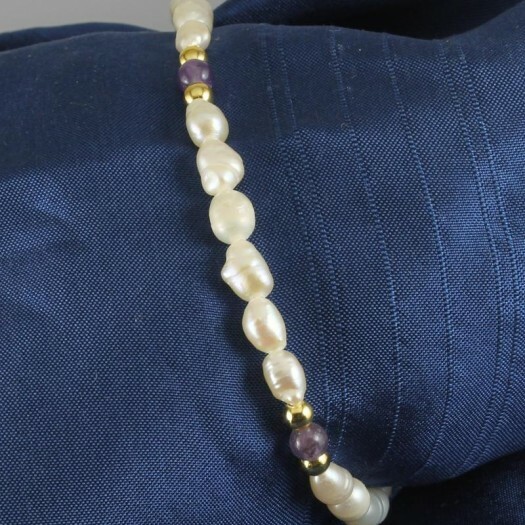 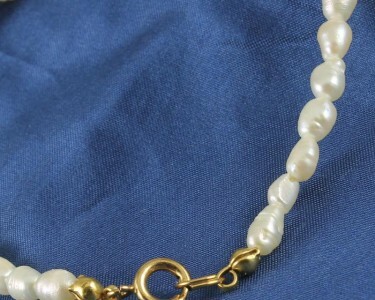 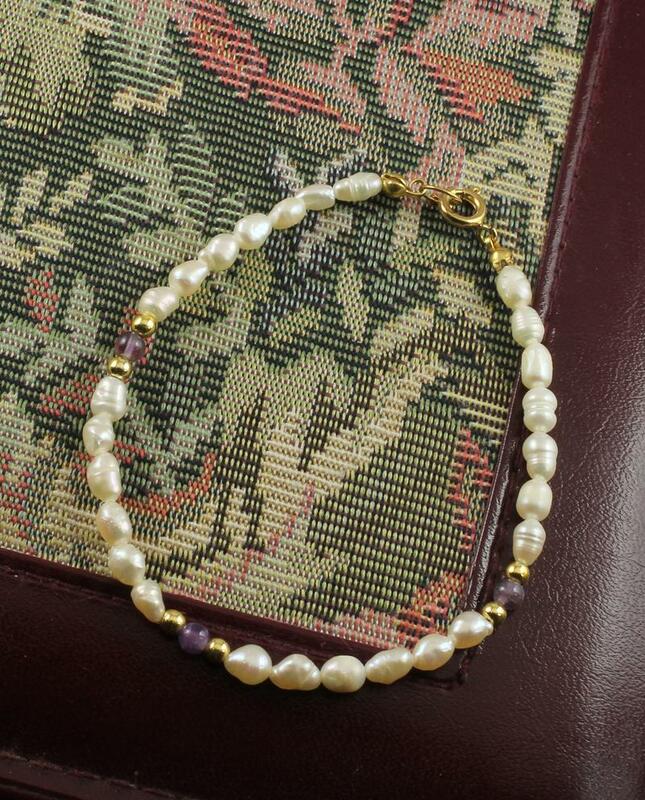 This elegant bracelet comprises a single strand of white, iridescent, baroque freshwater pearls interspersed in three places by a trio of gold-plated and amethyst-coloured beads, secured by a gold-plated spring ring clasp. 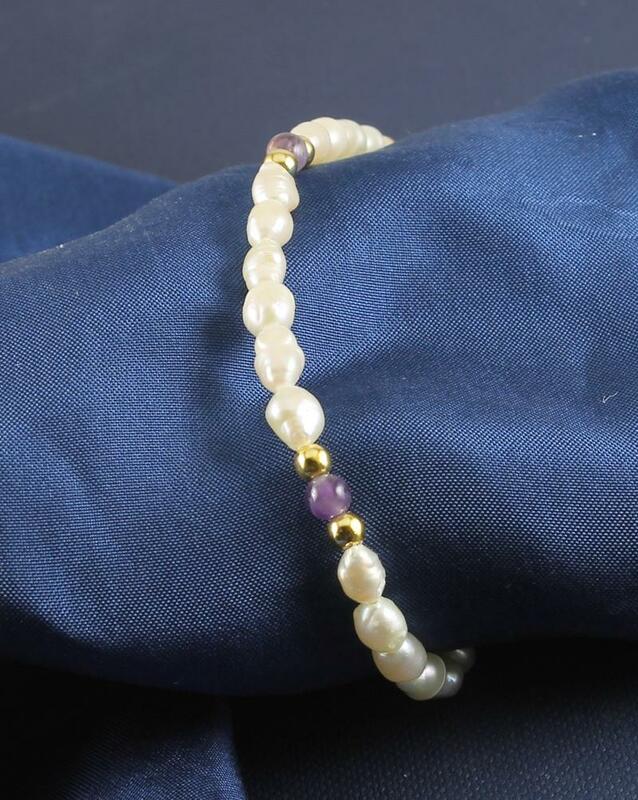 Wear It With : A stylish bracelet in traditional white pearls that can be stacked with other bracelets or worn individually. 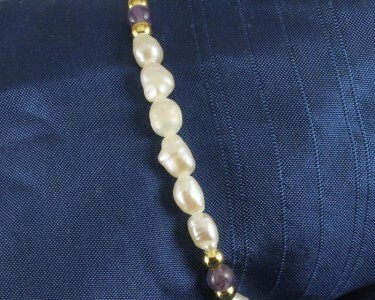 Its subtlety allows it to be worn with most outfits, but especially with darker items.